This week, Alpher discusses Israel’s 2007 bombing of a weapons-grade reactor under construction in Syria; the fact that the North Korean reactor was under construction in Syria for four or five years before it was discovered by Israel; why Mahmoud Abbas seems to be systematically burning his bridges with everyone; and Ronald Lauder's criticism of Israeli government policies regarding the two-state solution and Jewish pluralism. Q. Last week the IDF censor permitted publication of details of Israel’s 2007 bombing of a weapons-grade reactor under construction in Syria. Why acknowledge this now? A. One likely explanation for Israel taking responsibility in 2018 for operation “Outside the Box” in 2007 is simply bureaucracy at work. For years a variety of journalists and researchers had sought to publish--in Hebrew, in Israel and officially--what the world has known and written about all along: that on September 6, 2007, the Israel Air Force destroyed a North Korean-built weapons-grade nuclear reactor nearing completion near Deir a-Zor in eastern Syria. Ultimately the censor had to yield. After all, this was not really a secret any longer. Perhaps the determining factor was an autobiography by former Prime Minister Ehud Olmert, fresh from a few years in jail on corruption charges, where he had plenty of time to write about his role overseeing the operation. Still, in view of recent developments in the region regarding nuclear issues, the case can also be made that by taking credit for destroying the reactor, the Israeli security establishment either sought to send several pertinent messages or is inadvertently sending them anyway. First and foremost, warning neighbors. The Iran nuclear deal of 2015, the JCPOA, is liable to collapse if as anticipated the Trump administration pulls out in May. Recent Trump appointments of ultra-hawks--Mike Pompeo at the State Department, John Bolton at the National Security Council--certainly point in this direction. In this regard Israel’s acknowledgement of Outside the Box can be understood as an attempt to put Iran on notice: exploit the collapse of the JCPOA to renew your military nuclear program, and Israel will take action. Israeli PM Netanyahu has long campaigned against the JCPOA because it does not end Iran’s military nuclear program indefinitely. Netanyahu also reportedly advocated an Israeli attack on Iran’s nuclear infrastructure in the years leading up to the JCPOA, but was vehemently opposed by more strategically responsible Israel’s security chiefs. Now, in revealing Outside the Box, the IDF censor may jump-start a very dangerous countdown toward what Netanyahu recklessly wished for a few years ago. A second neighbor ostensibly put on notice by Israel’s revelations is Saudi Arabia. The Saudis, concerned about Iran, want to build a nuclear infrastructure. They want it to include the very uranium enrichment capability that Iran will enjoy only after 15 years of the JCPOA and that the US has denied the United Arab Emirates, a Saudi neighbor that has embarked on a nuclear program. Saudi Crown Prince Mohammed bin Salman (MbS) is currently in the US lobbying on behalf of a Saudi nuclear shopping list. MbS has stated that Riyadh would develop nuclear weapons if Iran did. Netanyahu, on a recent US visit, explicitly asked President Trump to deny the Saudis this capability. It turns out Israel’s strategic friendship with Saudi Arabia goes only so far. Acknowledging Outside the Box could be a warning to Riyadh as well as to Tehran. Then there are the other players. Israel’s revelations disclosed in detail how then-President George W. Bush declined Olmert’s request that the US, massively deployed nearby in Iraq, destroy the Syrian reactor in what would have been a much easier operation. Currently Netanyahu is trying to persuade both Washington and Moscow to do something about Iran’s growing presence on Syrian soil where it threatens Israel. Implicitly, then, Israel is putting both the US and Russia on notice: if you choose to ignore Iran’s deployment in Syria, don’t be surprised if we take action on our own against Iran. And Israelis are being reminded that ultimately no one will stand by them when the security chips are down, particularly in the unpredictable Trump era. Finally, North Korea. It built the Syrian reactor. It may be building more elsewhere in the Middle East. 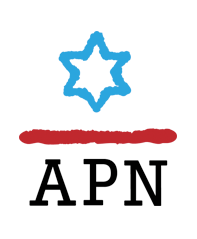 As we approach a possible US-North Korean summit in May aimed at discussing Pyongyang’s military nuclear program, Israel is registering its own opposition to North Korean weapons and nuclear proliferation in the Middle East. Q. But the Outside the Box publication also exposed a serious intelligence lacuna: the North Korean reactor was under construction in Syria for four or five years before it was discovered by Israel, and at the last minute, too. A. This revelation had both positive and negative ramifications. On the positive side, everyone was reminded in a healthy manner (it ended up well) that Israel’s intelligence coverage is not perfect and that enemy surprises are still possible. Notably, American intelligence, based at the time on an extensive US military deployment in neighboring Iraq and focused on North Korea’s nuclear program, also missed the reactor until informed by Israel. The negative aspect of the intelligence failure was highlighted by the unseemly squabbling that broke out in Israel among retired generals and Mossad heads concerning who “owned” the lacuna and who “saved the day” by discovering the reactor. Live interviews with the principals exposed sensitive details the censor had successfully suppressed in print. At the political level Ehud Barak, who still harbors ambitions to return to leadership, emerged with egg on his face because as minister of defense in 2007 he had advocated delaying Israel’s attack. In contrast Olmert, who will be close to 80 when he can conceivably return to politics following his jail term, emerged a genuine hero for zeroing in on the Syrian threat, guiding the entire security establishment toward eliminating it, and maintaining a post-operation silence that conceivably avoided war with Syria. Olmert successfully extended the Begin doctrine, declared upon Israel’s destruction of Iraq’s Osiraq reactor in June 1981, of preventing a nuclear breakthrough by any openly hostile country in the region. Yet this is the same Ehud Olmert who led Israel into a disastrous conflict in southern Lebanon in the summer of 2006. And the same Olmert who single-handedly put together the most far-reaching peace offer to the Palestinians in 2008 and apparently (via Turkey) came close to a deal with Syria that same year. The jury is definitely still out regarding his place in Israel’s history. Q. In Ramallah, Palestinian leader Mahmoud Abbas seems to be systematically burning his bridges with everyone. Why, and why now? A. 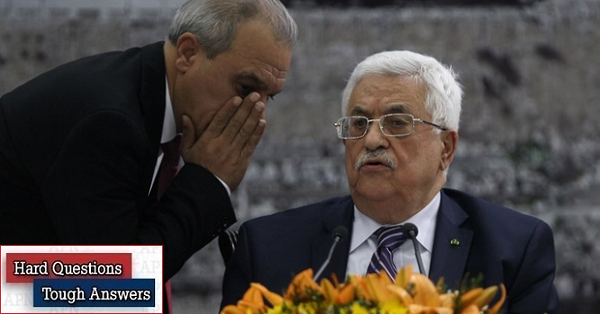 Last week, in an angry speech, Abbas managed to attack both the US and Gaza-based Hamas. He called US Ambassador to Israel David Friedman “a settler and a son of a dog”. Then he accused Hamas of trying to assassinate the Palestinian Authority’s prime minister and chief of intelligence during their recent visit to the Gaza Strip. And he insulted the Hamas leadership by briefly and casually “forgetting” the name of Yahya Sinwar, who heads Hamas in Gaza. Sinwar, Abbas reported disdainfully, had offered the PLO to manage “above ground” in the Strip while Hamas managed “below ground”, meaning that Hamas would retain its military preparations to attack Israel via tunnels--hardly a tempting division of Gaza’s administration under a unity government. Since then Abbas has announced to Israel that on April 1 the PA will cease paying salaries to government officials in Gaza, thereby further impoverishing the Strip and exacerbating its humanitarian crisis. Never mind that Friedman is a veteran supporter of the West Bank settlers who has questioned the Palestinians’ right to any of the land. And never mind that it apparently was Hamas, or a dissident faction thereof, that tried to assassinate the PA officials. The cumulative impact of these slights and acts of punishment by Abbas is to exacerbate the PLO’s break with the Trump administration (Abbas earlier cursed Trump with “may your house be destroyed”). It also confirms the collapse of the latest ill-fated attempt to set up a unity government embracing both the West Bank and Gaza. This leaves Abbas increasingly isolated from the other important players in the Israeli-Palestinian complex, including of course Israel under Netanyahu. It underlines the latest, recycled, PLO strategy for dealing with the conflict: recourse to the European Union and a variety of UN-sponsored bodies where it aspires to isolate Israel internationally. Jerusalem, with both Trump and Israel’s Sunni Arab neighbors behind it at the strategic level, does not appear overly concerned. Meanwhile, Hamas in Gaza is escalating its preparations for a mass protest concentrated along Israel’s Gaza border fence. This will begin officially on the eve of the Pesach holiday, March 30, which is traditionally “Land Day” when Israel’s Arab citizens commemorate protests against discriminatory Israeli land policies. It will end May 14 when Palestinians will commemorate 70 years to the “Nakba” or “disaster” of Israel’s independence and their exile. This prolonged siege of the border fence is almost certain to generate Gaza border clashes--and also to steal Abbas’s thunder. Q. Last week, World Jewish Congress President Ronald Lauder--conservative, Republican and proudly Likudnik--bitterly criticized Israeli government policies regarding the two-state solution and Jewish pluralism. What was the reaction in Israel? A. Lauder’s surprising attack on the policies of the Netanyahu government was published in the New York Times. It generated two types of reaction in Israel. Those who oppose the Netanyahu government’s policies of discriminating against non-Orthodox Jews and Judaism and leading Israel toward a disastrous one-state reality asked where Lauder had been all these years. Why did he wake up now? Those in the ultra-nationalist mainstream that runs the country attacked Lauder primarily on the Jewish pluralism front. Lauder wrote that “by submitting to the pressures exerted by a minority [the ultra-Orthodox] in Israel, the Jewish state is alienating a large segment of the Jewish people. . . . The results are unsurprising: assimilation, alienation and a severe erosion of the global Jewish community’s affinity for the Jewish homeland.” In reply, former settler leader Yisrael Harel castigated Lauder in Haaretz for not writing to Israelis in Hebrew in an Israeli newspaper. Secondly, Harel wrote, assimilation is not the fault of Israel’s policies but rather “the biggest failure of the American Jewish community”. If Bennet is still Lauder’s inspiration, then Lauder’s late awakening is both ridiculous and ineffective. After all, the disastrous damage to Israel as a Jewish and democratic state and to Israel-Diaspora relations that Lauder describes is being inflicted by the government and the ideology he apparently still supports.